Carsonpedia is the online encyclopedia of Carson City, Nevada, and surrounding areas. 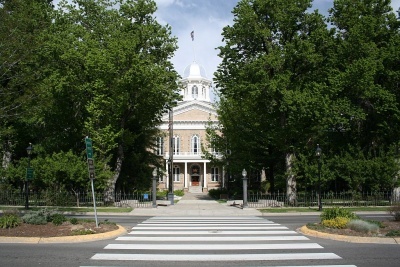 It covers the history, people, buildings, and events of Carson City, as well as surrounding communities such as the Carson Valley, The Comstock, Dayton, Mound House, and the Washoe Valley. Carsonpedia was initially developed as part of the Carson City Sesquicentennial celebration, but it has survived well beyond that milestone. It is now entering its fifth year of serving Carson City. Everyone is encouraged to edit and add to Carsonpedia; however to prevent vandalism you need to be approved before posting. If you want to become a Carsonpedia editor, send an e-mail to scotts@computer-vet.com to get a username and get started. The site is built on the same platform as the popular Wikipedia encyclopedia, so anyone familiar with using and editing Wikipedia will be comfortable on Carsonpedia. If you're not familiar with Wikipedia, it's easy to learn. Every page has an "edit" button at the top that can be used to make changes to the page. The search box above can be used to search for topics on Carsonpedia. If a page doesn't exist for your topic, please go ahead and create one! 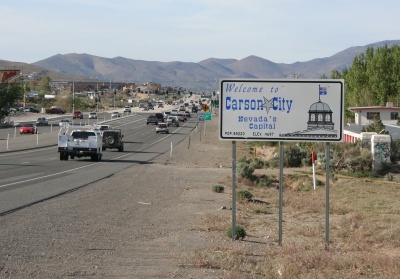 Carsonpedia is a production of Around Carson, the community blog for Carson City, and is affiliated with the Western Nevada Historic Photo Collection. The editor-in-chief is Scott Schrantz. Here are a few links to get you started reading Carsonpedia. You can also search for topics using the search box at the top of the page. This page was last modified on 21 June 2012, at 22:54. This page has been accessed 155,970 times.